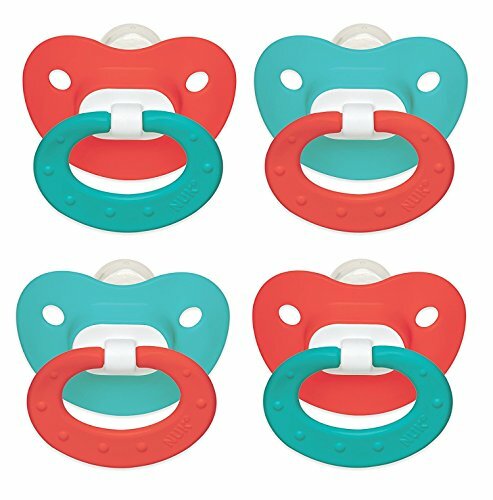 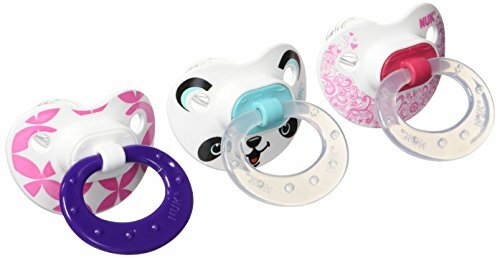 The unique orthodontic shape of NUK pacifiers naturally exercises the tongue, palate and jaw and encourages the correct development of your child's teeth while you soothe your baby. 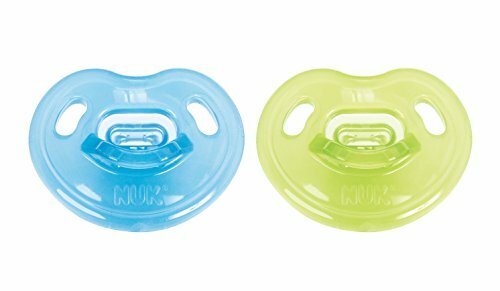 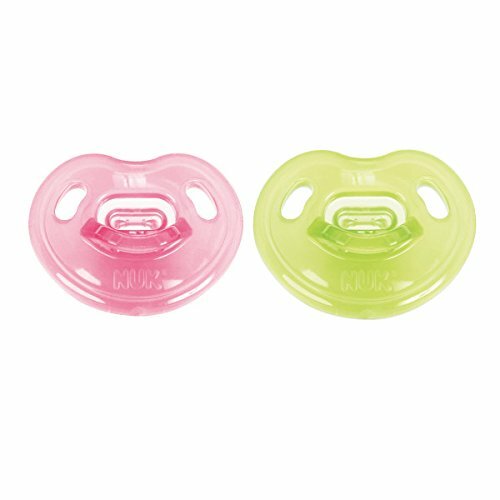 This Juicy Orthodontic Pacifier 2-Pack comes in size 6-18 months with assorted colors that may vary. 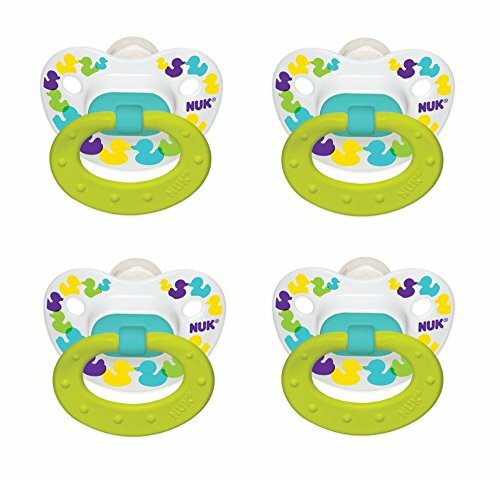 The heart shape of the NUK pacifier shield was specially designed for a comfortable fit to baby's face to prevent irritation. 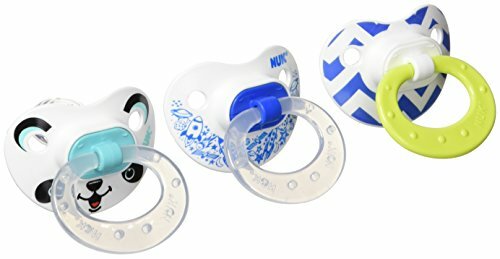 The shield curves down at the top under your baby's nose so that nose is clear for breathing. 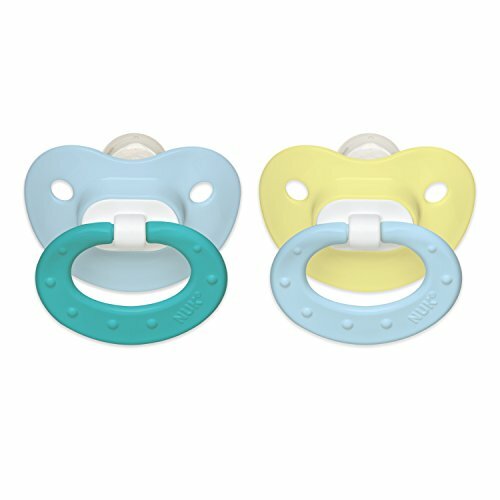 The concave shield fits to your baby's face and rounds off at the bottom so that the pacifier does not hang over the chin. 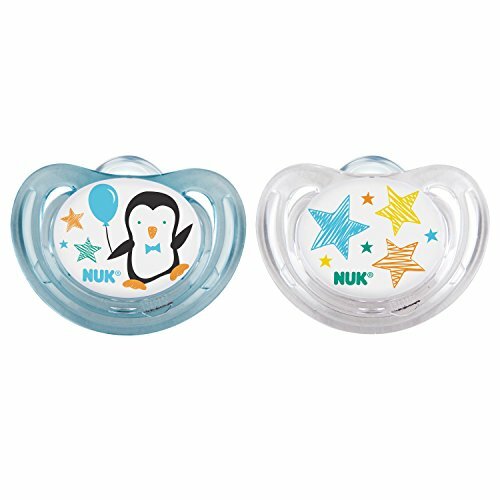 Copyright © Wholesalion.com 2019 - The Best Prices On Nuk Orthodontic Silicone Pacifier Online.